1. Autographed copies–not available elsewhere–are available by clicking this link or the “Buy Now” button to the right. We’ll be happy to speed your copies to you! 2. 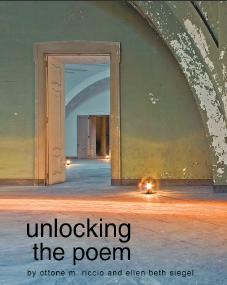 An EBook version of Unlocking the Poem is available direct from the publisher, at iUniverse.com. 3. You can also order paper copies of Unlocking the Poem online from iUniverse, Amazon, Barnes and Noble, and other online retailers. 4. And of course, you can purchase Unlocking the Poem through your favorite local retailer–if they don’t have it, ask them to order it! One other book you’ll enjoy: Do Not Give Me Things Unbroken is an anthology of poems written from just one of Ricky Riccio’s evocative assignments. We have a limited number of copies of this exciting collection available for $18.95 each–just click the “Buy Now!” button below to order! Please note: We are having problems with shipping fees if you order via Paypal and want copies of BOTH books. Paypal will charge you $4.75 to ship each book. Our intention is to charge $4.75 shipping for one book plus $1.00 shipping for each additional book, whether that second book is Unlocking the Poem or Do Not Give Me Things Unbroken. We would be very happy to refund excess shipping charges taken through Paypal when we ship your books; just send an email to us at admin@unlockingthepoem.com telling us what you ordered and what you were charged for shipping. Congratulations on publishing Unlocking the Poem! Can’t wait to see it and feel more in touch with Ricky and his great workshops. (Was in Boston, now in North Carolina.) Is it possible to send a check for some autographed copies via snail mail?